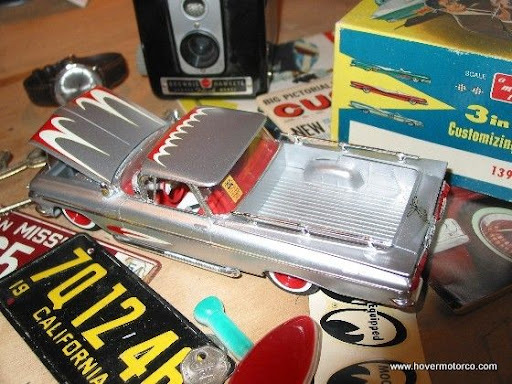 HOVER MOTOR COMPANY: Model kits from the 1950s and '60s. Who builds these things, anyway? 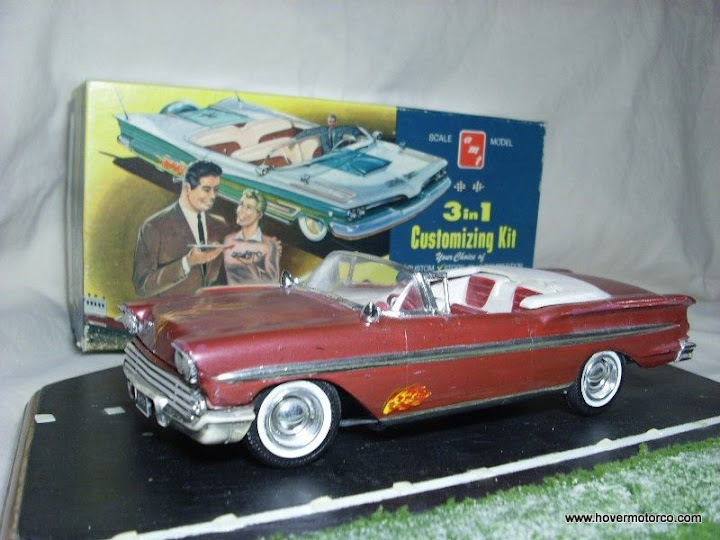 If you go to a model building show or contest, the models are highly detailed, with precision photo-etched and scratch-built parts and glass-smooth finishes. No one could have dreamed of this level of perfection just a few years ago. 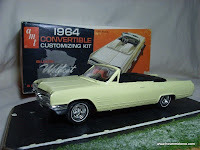 It's true that you don't see many model kits in your local department stores anymore, but unlike the old days, everything you'd ever want or need to build your scale dream car is as close as your computer. Between eBay and all the aftermarket model parts distributors, there are things out there you didn't even know you wanted. Obviously, there are some great new projects out there, and it looks like the scale model hobby may indeed be in good hands. But what of the old models? Did anyone ever keep any of this stuff, or did everybody's mom trash them as it seems? Well, if you like looking at old model projects, you've come to the right place. Most of the models in the slideshow below are my dad's old projects that he built in the '50s/'60s. A few are mine from the '70s-'90s. None of them are really what you would consider new. I like them for a number of reasons. One is that I have a soft spot for the past, and I remember all of these being around forever. They remind me of my dad, and I still enjoy the stories he tells about building some of these--even if I've heard them before. Unless you're new here, you know I love old cars and models, and I enjoy studying these just because of what they are. And there's plenty to study. Everything from the box art to the way the model company decided to handle a certain detail can be interesting. 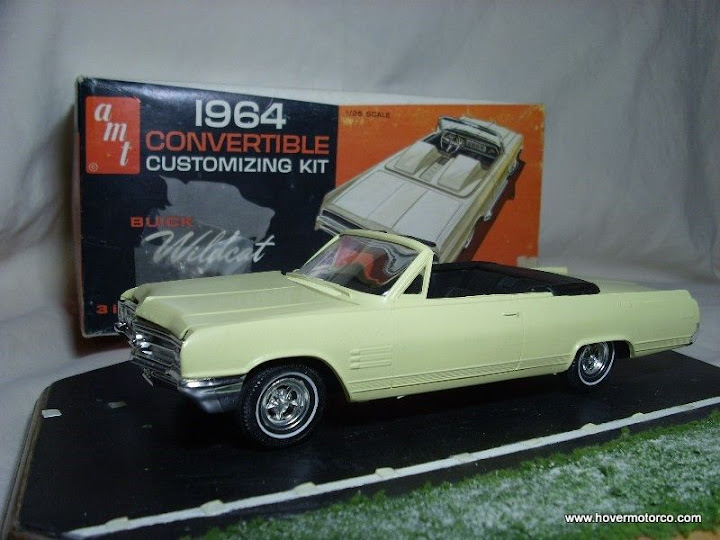 The slideshow below contains a few model kits from the late '50s/early '60s. Click the dialogue bubble at the bottom left if you want to read the captions. Thanks for the article. I would love to have that AMT of the 65 Chevelle. My mother just 6 monthes ago throw all mine away. Old johans and every maker.